We are H & K Sound, professional car audio. 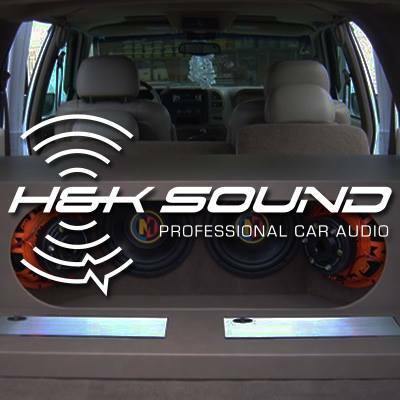 Welcome to your #1 source for car audio in Jackson, Ohio and the surrounding area. We offer sales and installation of all kinds of different products and services from basic audio systems to complete competition systems. Don't forget that we have much more then just car audio, we also offer remote car starters alarm systems and more. RACE FOR 700!!! We are only 12 Likes away from 700 as of today. Please SHARE our page and encourage your friends to Like our page. Thanks in advance to our entire H&K family! In the custom car audio business, we have the ’70’s and ’80’s to thank for the movement that now allows us to make a living and feed our children by improving peoples’ power and sound. This decade led to the emergence of after-market products that owners could then install in their own cars (or pay a little extra and have a professional do it 😉 wink, wink ). People were no longer satisfied with factory sound. With the rise of cassette tapes, the steady phase-out of bulky vacuum-based amplifiers, and the exchange of single-speaker, monophonic systems for in-car stereo setups, a revolution in car audio was underway. New casette receivers, speakers, and drivers were now on the market…and people were taking notice. For the first time, the amplifier was paid more attention to in-car. This led to more power and better quality sound. In-car systems became comparable with in-home sound systems with companies like Alpine, Kenwood, and Pioneer, well, pioneering the way. As the illusion of “surround sound” was created, the industry never looked back…and audio lovers rejoiced. Earl “Madman” Muntz, an engineer and entrepreneur, created the 4-track cartridge technology (called the Stereo-Pak). This was the pivotal moment for car audio during this time period. 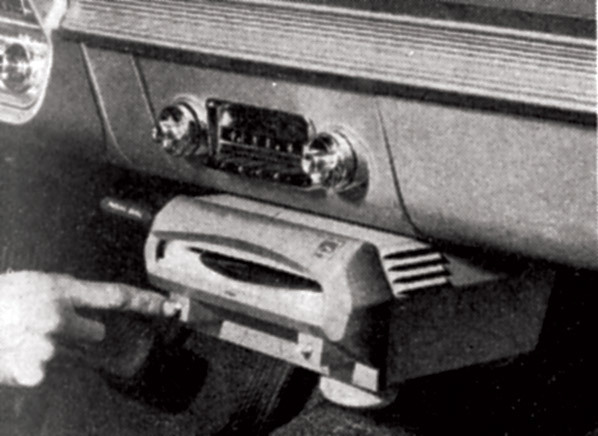 Using advanced engineering and new-aged marketing techniques, the tape player gave car audio enthusiasts more control than ever. This new technology could play entire albums without skipping and with minimal effort from the driver. This eventually gave way to the 8-track players in the late 1960’s. By the ’70’s, when Walkman came of the scene, personalized playlists became a reality and redefined music inside and out of the automobile. How much do you know about the history of car audio? In this series we are going to cover a different decade in car audio development. 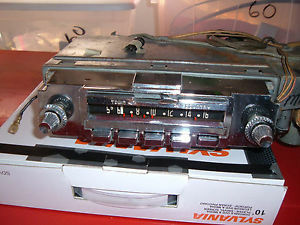 How did we go from simple AM car radio (hint: it would cost $1800 by today’s inflation standards) to our elaborate systems capable of creating the amazing sound we love today? We are going to cover a new decade each and every week. 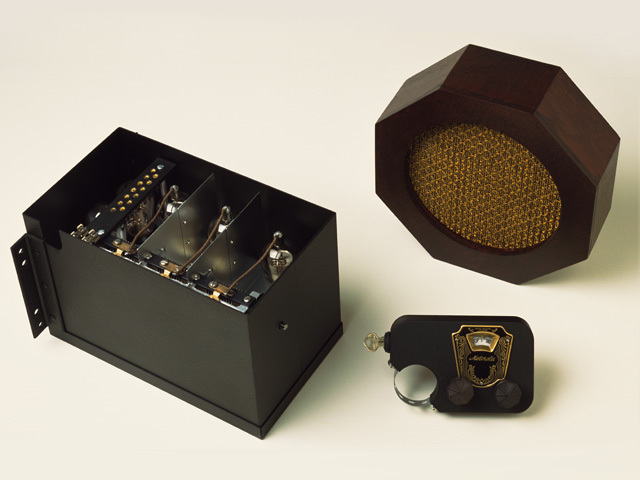 See how much you know about the first amp, radio, and more. We would love to hear your feedback. If we miss something-Let us know! To ring in the New Year, we are offering 3 monthly deals to cover everything you need in car audio. Need an amp? Speakers? Subs? Radio? Now, how would you like to get what you need an leave with a little extra jingle in your pocket? These deals won’t last long but your great sound will. Get hooked up today with great sound and even better value. We have had an excellent year with our customers and friends. We look forward to 2015 being even better! Not only are we beginning the year with some sweet deals (we’ll release those after the 1st), but we are continuing our mission to bring the culture of car audio back by creating a local community of new and existing bass heads. This has been an excellent year and let’s celebrate a Happy New Year by cruising around blasting Jackson County with the best in car audio. Be sure to follow us on Facebook, Twitter, and Google+ as we promote our products as well as host discussions that bring audiophiles together. Join us!